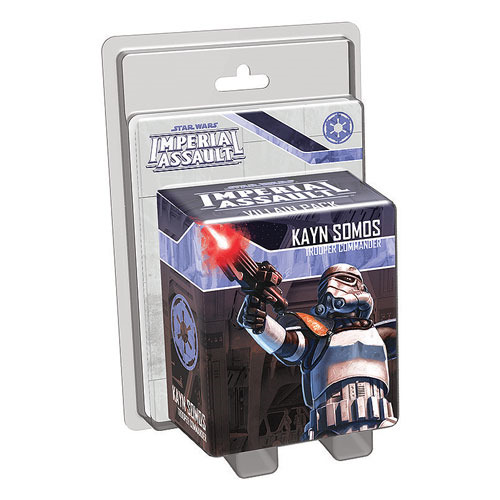 Kayn Somos is an especially vicious Stormtrooper commander, and the Star Wars Imperial Assault Kayn Somos Villain Pack gives life to his tactical expertise and fearless style of warfare witha detailed plastic figure, cards, and missions. For the skirmish game, this expansion offers command cards and a skirmish map with 2 unique missions. In the campaign game, this villain pack grants the Imperial player access to a side mission and a 3 card agenda set that flexes the might of the Empire across the galaxy. Ages 14 and up. Please note: This is not a complete game experience. A copy of the Star Wars Imperial Assault Game Core Set is required to play.